As C*******s is only 12 weeks away, this means that Halloween is just around the corner. I’ve never done anything big for Halloween but at the same time, I never let it pass me by. The local kids where I live all come around tick or treating so last year I dressed up into my old Clinique Labcoat, slicked my hair down, whitened my face and smeared my eyes with evil dark shadow and liner; needless to say one girl cried as I opened the door screaming my head off, so it was mission accomplished. I digress. 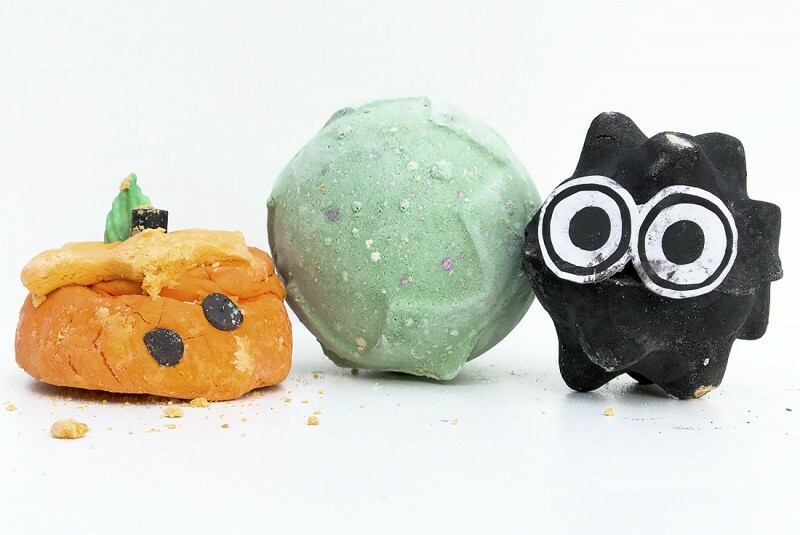 Lush have three fabulous bath treats for evil ghosts and gouls in the form of Pumkin Bubble Bar, Soot Ball Bath Bomb and Lord of Misrule Bathbomb. These all go into stores from the 23rd September (tomorrow) and are fabulous treats for Autumn. Do you remember the Mother’s Day Mumkin? I thought I did but no, neither do I. 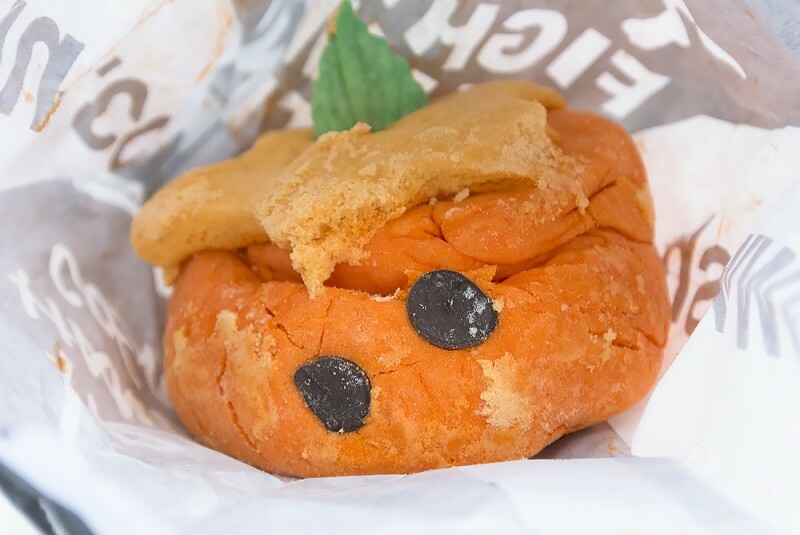 Anyway this is an impossibly cute bubble bar shaped like a pumpkin, if you hadn’t already figured that one out. Formulated with Ylang Ylang and audacious orange flower, your bath becomes an abundance of bubbles and your skin is left impossibly soft. His eyes are made of dairy free chocolate drops and the stalk, sweet liquorice (I rinsed mine off and ate it, it was nice). As with all bubble bars, don’t just plonk it in. Crumble it up as finely as you can around your plughole and set the bath running. Just keep an eye on it as when I say there’s a mountain of bubbles, I mean it. I had to take its eyes off before popping it in the bath because otherwise it would have been too emotionally overwhelming to watch this Spirited Away inspired Soot Gremlin melt away in the bath. A word of warning, it’s glittery. Lush insist on calling it lustre, but it’s glitter if ever I’ve seen it. It turns your bath water into fabulous liquid gold as it spins, twists and writhes away in the water. 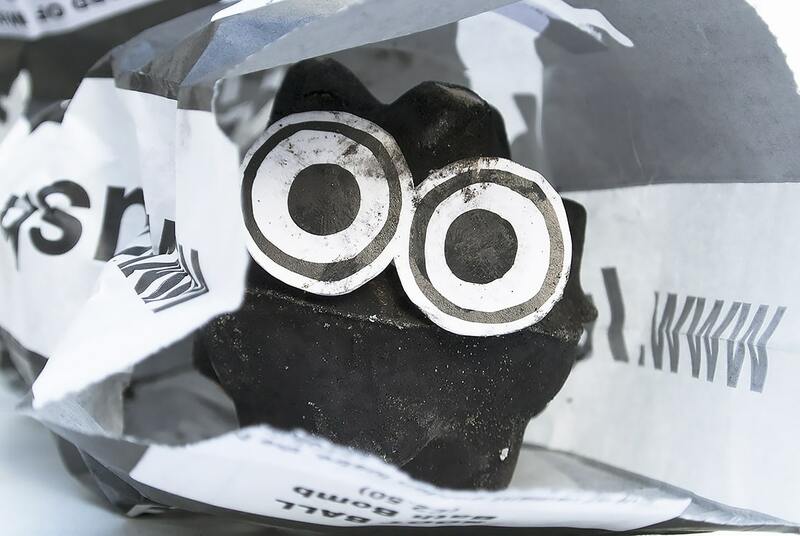 With Frankincense, burnt caramel, thinks and sandalwood, Soot Ball delivers a wealth of warm, bath-time, decadence. Make sure you just plop it in from the bag as otherwise you’ll cover your hands in black but fear not, it doesn’t turn your bath black whatsoever. This is a weird one and naturally comes from the core of Mark Constantine’s inner most workings. 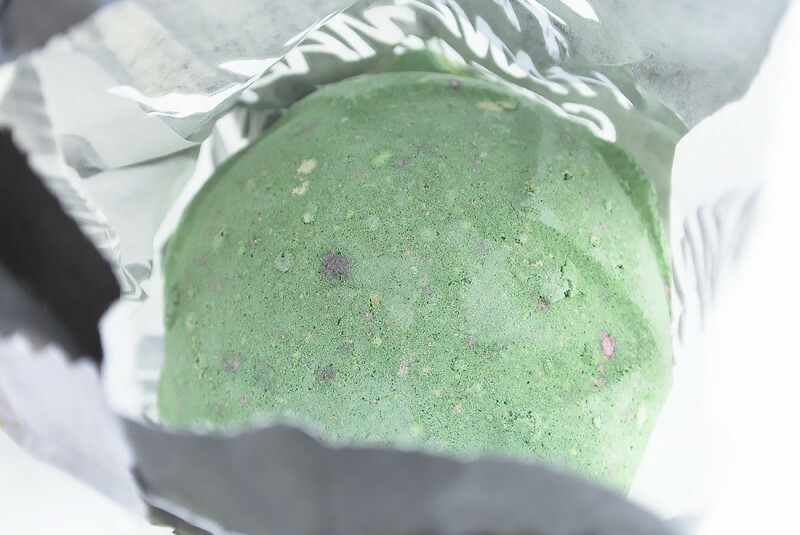 With its name rooting front the Pagan Feast of Fools, this vanilla absolute, black pepper and patchouli oil scented bath ballistic fizzes away to reveal a core that bursts open with a red wine coloured fizz. Lord of Misrule will be misruling until Spring 2014 so you’ll have plenty of time to catch it in store and online. All three of these unmissable bath treats will be available in store and online from tomorrow morning so don’t miss out! On a final note, I’m visiting my parents in Spain, brought the photos with me but ended up having to print and then scan in the one above (long story) but will upload the rest and full quality shots when I get back on Thursday! This article first appeared on MANFACE written by Thom Watson. It was published on Sunday 22nd September 2013 and was last updated on Monday 3rd April 2017 at 3:27pm. It's categorised under Bath, Body, LUSH Ltd where you'll find more related content. You get TOTs? That’s North American-speak for trick or treaters. I lived in the West Midlands for 12 years and never saw one. We’re in S. Staffordshire now so maybe I’ll see one or two. I LOL’d reading about you eating the bits off your pumpkin bar. Of the three though, that’s the one I want. Great. Now when am I next going to be anywhere near a Lush store…..